In support of the ongoing efforts to estimate fire danger, our laboratory performs monthly sampling of chamise fuel moisture. 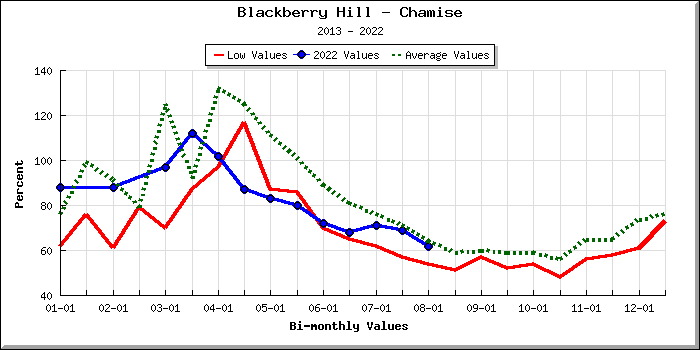 Our fuel sampling site is located at Blackberry Hill near Los Gatos, California. Data is regularly uploaded to the National Fuel Moisture Database where it is available to the public. Click here for month to month images of the fuels. 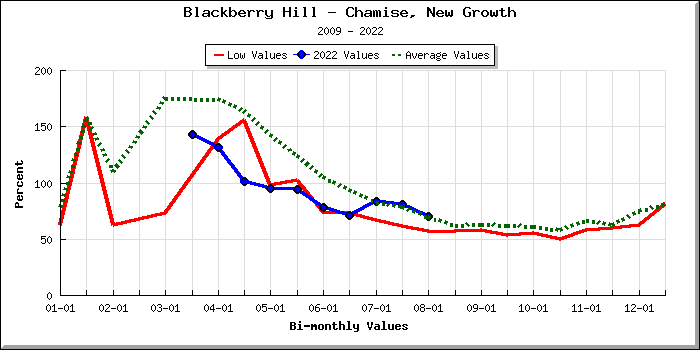 Below is current data for total, new and old chamise growth at the Blackberry Hill site. 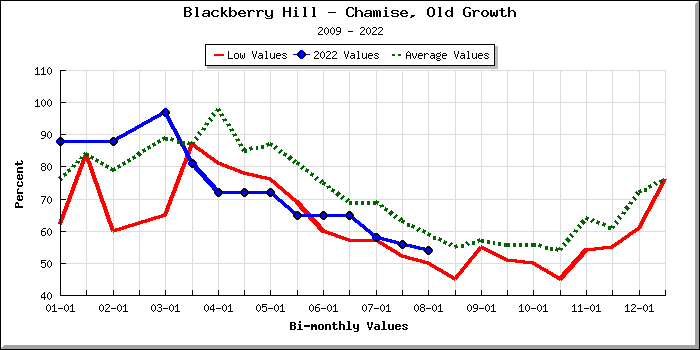 2017 data is blue, lowest recorded values between 2013-2017 are red, and the 10-year average is in dashed green.